Evan Chaki, Principal Program Manager, 21 марта 2018 г. 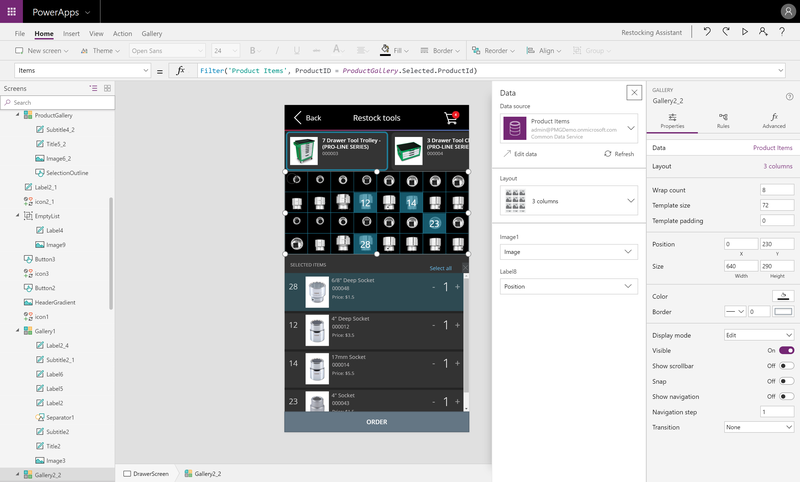 We are pleased to announce that starting today PowerApps Studio for web is generally available for production use. The web studio is the premiere authoring experience for creating PowerApps and is the recommend way to build your apps. We have seen a rapid increase in adoption of the web studio experience since releasing it. Creating your apps from https://web.powerapps.com gives you the latest experiences in the product. The web studio is always updated with the latest builds and allows you to work in your browser whether you are at work or home on a Mac or PC. We have been working hard to ensure a consistent experience in the web studio – it has also surpassed the Windows desktop studio in both features and performance. Going forward, we’ll be deprecating the authoring capabilities of the PowerApps for Windows. The PowerApps Studio for Windows will still be available to download from the Windows Store and can be used to play apps. The current studio authoring experience in the desktop app will be deprecated June 1st 2018. With a large majority of our users preferring to use the web studio over the legacy PowerApps Studio for Windows, we will be focused on the web studio which allows us to innovate faster and makes sure every maker can always use the latest features. Apps that you have already built can be edited in the web studio (https://web.powerapps.com). If you currently use the Windows desktop authoring experience, try out the web studio, you will be surprised at the performance gains you will see.